Previous Story Pentax Ricoh announces name change, but what will it mean for the Pentax brand? While digital cameras may only have replaced film cameras in the last decade or so, it turns out there's a much longer history of digital images that stretches back almost a century. In fact, it was thanks to an early form of digitization that newspapers were able to transmit photos across the entire Atlantic Ocean in just three hours, rather than having to ship the film directly. In 1926, the sinking of the S.S. Antinoe was major news and during the rescue efforts, one of the crew of the S.S. President Roosevelt snapped a photo of the sinking ship. 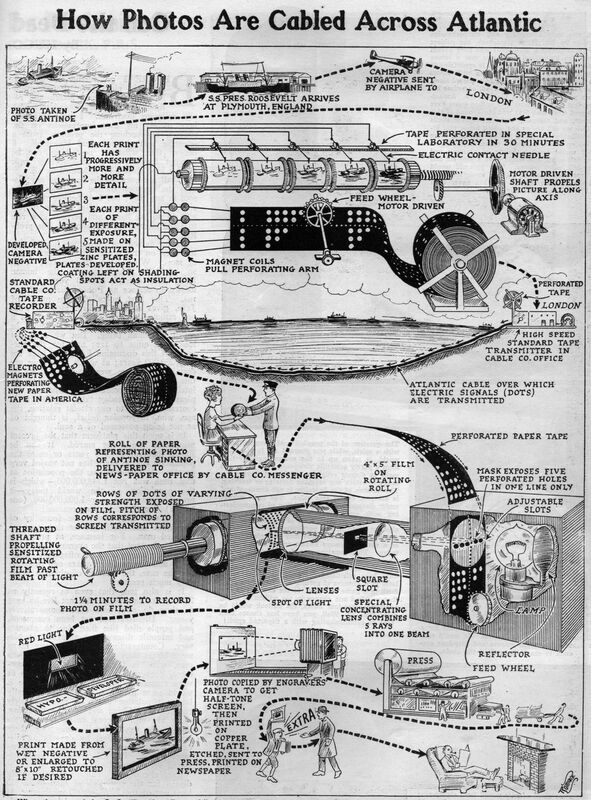 Once in London, the photograph was able to be sent across the entire breadth of the Atlantic to be printed in New York newspapers — a fact that's impressive enough that it was explained in this incredible illustration from the April 1926 issue of Science and Invention (full sized version here). This is an explanation of a technique known as the Bartlane System, which you can read more about here and here. Fundamentally, this reduced the image to five levels of exposure, which were then transcribed to punch tape (like a telegraph or stock ticker tape). That info could then be transmitted along the Transatlantic Telegraph Cable, printed back onto tape, and then used to make a new exposure, via a "telegraph printer fitted with typefaces simulating a halftone pattern." It's a stunning piece of engineering, one which allowed the use of extant networks to convert an analog image into a digital representation, then reprint it at the other side. The quality might have been abysmal, but that doesn't make it any less impressive.